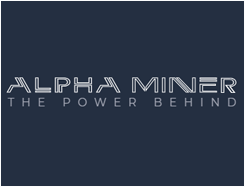 Alpha Miner ® is dedicated to manufacturing and selling high quality and productivity professional grade equipment for such emerging technologies as Artificial Intelligence, Blockchain, Deep Learning, GPU Computing, GPU Rendering, cloud gaming, etc. Alfaminer is a team of seasoned professionals, who have been involved in electronics manufacturing, distribution, sales, service, Blockchain, mining, rendering for many years. They aim to establish stable long-term relationships with our customers, retail and wholesale alike. The customer wanted us to develop a mining internet store that accepted different crypto-currencies. We had to create server and applications architecture. The project needed a solution for secure crypto-currencies acceptance. We have created a mining internet store from scratch that was integrated with external services (CRM, delivery services). Developed and created server architecture. Developed and created server architecture for applications that catered for project’s business needs. Introduced our own solution that deals with crypto-currency operations and multi-currency accounting (ETH, BTC, Fiat). Introducing Lepricoin (our own solution) into the project made it possible to launch it verythree times faster than expected initially. Our crypto-currency operations are provided with absolute security. Since the moment of its launch the project has been trouble-free owing to high availability server architecture. Having been invited to the project as specialists in cloud solutions and blockchain development we exceeded project owners’ expectations, as we have launched an absolutely hack-proof and failure-free mining internet store that operated three times faster than expected.